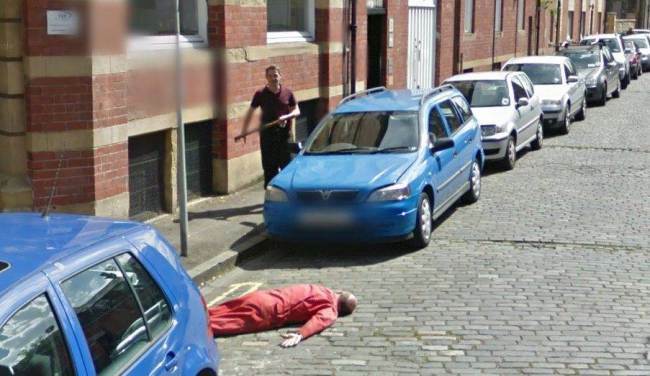 Murder Caught On Google Street View. What would you do if you saw a man with a pick ax standing over a lifeless body in a back alley way? 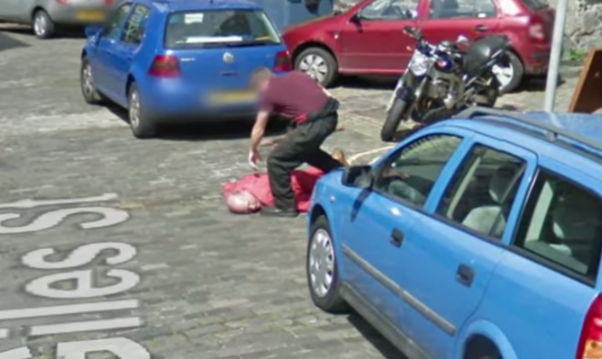 Well, a number of citizens were faced with that decision when they saw this scene on Google Street View. However, it was not as it seemed. 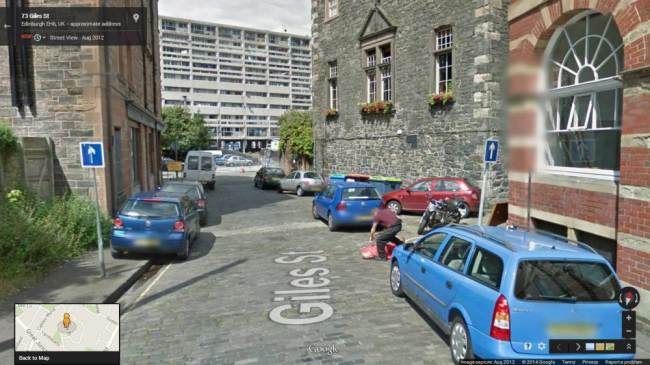 The camera car recorded a disturbing scene from different angles as it traveled down Giles St, showing a man apparently being attacked from a distance and his assailant walking away from the scene. But police who traced the assailant to a car repair shop were relieved to fins out it was just a prank. The “dead” man was proven to be in very good health when they found him working at the shop. They both told investigators they wanted to have a little bit of fun when they saw the Google car in the area. They rushed outside to create the grizzly scene. The pair forgot about the joke until it emerged on the internet a few months later. Luckily the police officers had a good sense of humor. When These Ladies Start To Perform, Your Jaw Will Hit The Ground!